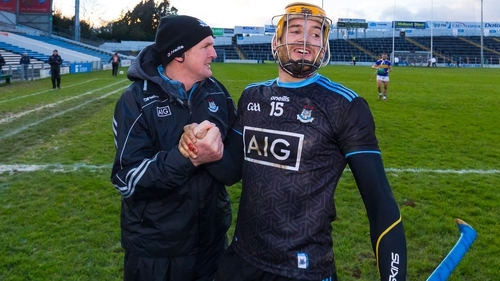 Dublin manager Mattie Kenny was delighted with how his side responded to a post-interval onslaught from Tipperary and clinched an Allianz Hurling League quarter-final victory on Saturday. 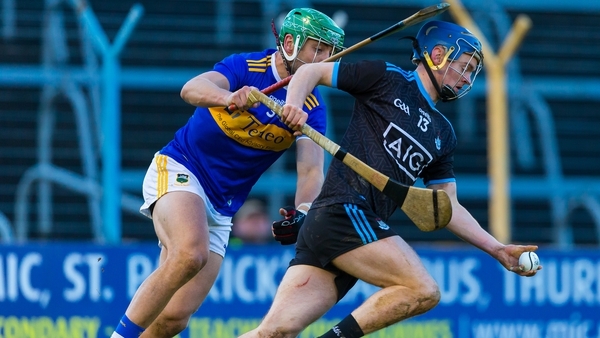 The Dubs led 1-10 to 0-09 at the break but the hosts, playing with the wind, roared back to level by the 38th minute. The 1B table-toppers didn't panic, however, and were never behind as they ground out a one-point win. "Their character was really tested in the second half," Kenny told RTÉ Sport of his players. Dublin's reward for a first win over Tipp in Thurles since 1946 is a semi-final date with All-Ireland champions Limerick next weekend. As far as first-term boss Kenny is concerned, it's all an opportunity for the players to learn. "The thing we're most pleased about is that we get another game in this competition. "Another quality game against a team like Limerick will bring this bunch on again. That's the challenges we're looking forward to. The more of them we get the better. "The group is working really hard and we're trying to learn as we go along."